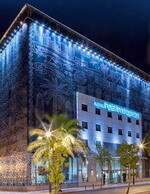 A modern hotel with a striking tiled mural facade, the Silken Puerta Valencia is next door to the City of Arts and Sciences Museum and two kilometres from the Valencia cathedral. 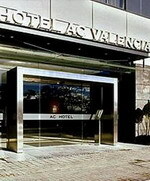 The hotel is well placed for exploring Valencia's many sights. 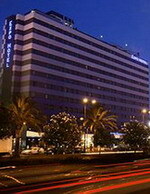 The Mestalla Football Stadium, home to Valencia FC, is just 50 metres away and the City Museum is two kilometres from the hotel. Guests can enjoy drinks and tapas in the cafe/bar and admire works by renowned artist Javier Mariscal featured in public areas of the hotel. Guests with laptops can take advantage of Wi-fi access in public areas, and business guests are served with conference facilities and meeting rooms. The hotel has a garage for those arriving by car. 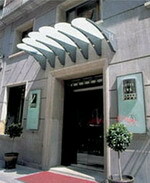 The Puerta Valencia Restaurant, open for breakfast, lunch and dinner, serves creative Spanish cuisine and features minimalist furnishings and modern art, and the cafe offers tapas and cocktails. 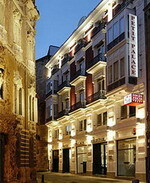 The Westin Valencia has a traditional façade and decorative arched windows, and is situated in Valencia, seven blocks from the cathedral and three kilometres from Las Arenas Beach. The 850-square-metre spa and health centre offers an oasis of relaxation with its indoor pool, sauna, Turkish hammam, 8 treatment rooms, solarium and beauty centre (fees apply). Access to the fitness center is complimentary. 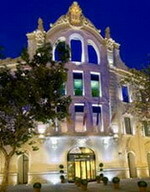 h-club Valencia serves a selection of drinks and cocktails accompanied by live music in the evenings. 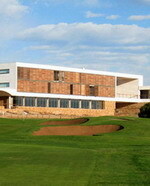 The well-equipped business centre offers five modern meeting rooms and one banquet room. 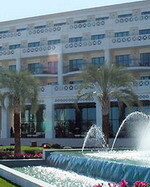 Further business facilities include audio-visual equipment, a computer and cell phone rental service, wireless Internet and secretarial services. The Westin Valencia serves traditional and local specialities in the modern setting of the Mediterranean Restaurant, Rosmarino, complete with an outside terrace. Light lunches, snacks and drinks are also available in the art deco-style El Jardi Lobby Bar.